Ah so Valentines is Just around the corner, that day where us women wait patiently to see if your other half has Firstly remembered and secondly have they done anything for us. 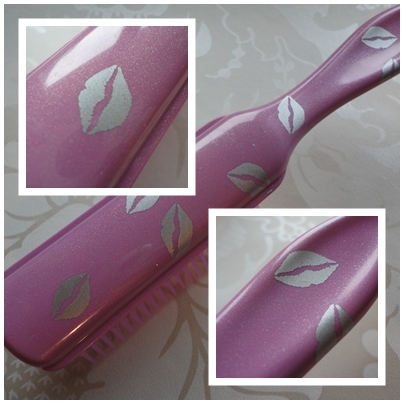 Secondly this brush has gorgeous silver lips dotted all over the brush. pink complete with kiss lip prints. As i have already said i was a lucky girl and got the pink one! 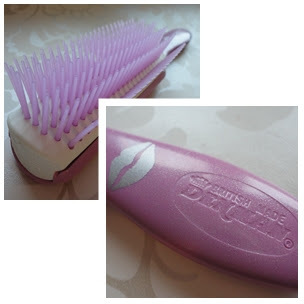 this brush is super soft on the hair, and is based on Denmans Half Round anti-static rubber pad - which reduces fly away locks! Can be used for general brushing and for blow drying as it smooths, shapes and polishes the hair. I would be happy with this on valentines at least its something i can use and remember he actually thought about what he was buying me ... he can still get me the flowers and chocolate too thought! I should be so lucky! Cant wait to see if your partner gets you this gorgeous brush then you can still get it for yourself! 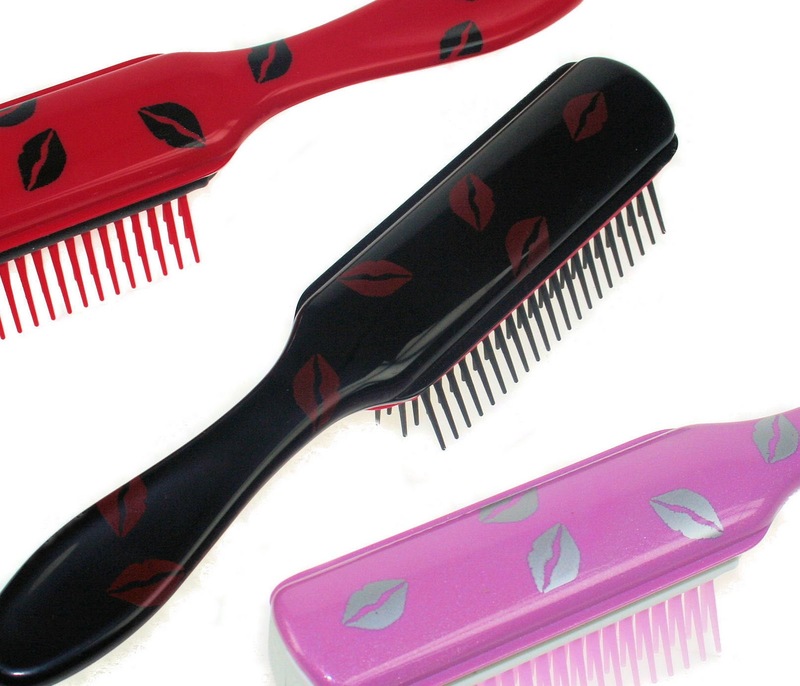 The Denman D3 Kiss Brushes, £7.31 available from www.denmanbrush.com. Don't you just love this brush? who would love to get it this Feb 14th? Denman brushes...this brings back memories, my mum used to brush my hair with one of these. It didn't look anywhere near as funky though! these are lovely! i love the pink one the best its cute! i'm tempted to get one even though i've just converted to a new tangle teezer- they are amazing if you haven't already tried one I recommend you do!